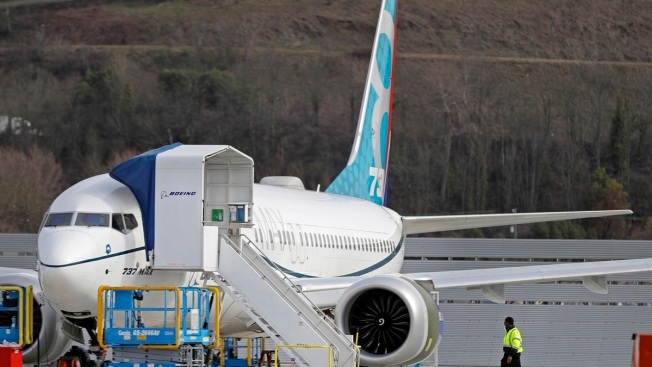 This Thursday, March 14, 2019, file photo shows a Boeing 737 Max 8 airplane parked at Boeing Field in Seattle. America's standing as the model for aviation-safety regulation will be on trial as congressional hearings begin Wednesday, March 27, 2019, into the Federal Aviation Administration's oversight of Boeing before and after two deadly crashes of its best-selling airliner. Under fire from lawmakers on Capitol Hill over the two deadly Boeing crashes, the head of the Federal Aviation Administration on Wednesday defended the agency's practice of relying on aircraft makers to help certify their own planes for flight. Acting FAA Administrator Daniel Elwell said the strategy has "consistently produced safe aircraft designs for decades." And he said the agency would need 10,000 more employees and an additional $1.8 billion a year to do all the work now done by designated employees of the companies it regulates. Under the self-certifying program, these employees perform tests and inspections needed to win safety approvals, with the FAA overseeing their work. The approach is credited with holding down government costs and speeding the rollout of new models. But in the wake of disasters involving Boeing's new 737 Max jetliner in Indonesia and Ethiopia, that practice has been seized on as evidence of an overly cozy relationship between the FAA and the industry. Sen. Richard Blumenthal, D-Conn., said at a Senate subcommittee hearing that delegating safety work to the companies puts "the fox in charge of the henhouse." "The fact is that the FAA decided to do safety on the cheap, which is neither safe nor cheap," Blumenthal said. He vowed to introduce legislation to change the system. At the same hearing, the Transportation Department's inspector general, Calvin Scovel III, said the FAA plans to significantly revamp its oversight of aircraft development by July. But the department gave no indication it intends to abandon the collaborative approach. Scovel said the changes would include new ways to evaluate training and self-audits by aerospace companies but offered little other detail. Boeing said the process by which it designs, develops and tests planes has led to safer and safer air travel, and it sees no need for an overhaul. The FAA and the industry say that deputizing private employees to do safety-related tasks is vindicated by the nation's safety record — one passenger accident death in the U.S. in the last 10 years and millions of flights. Elwell said the approach is "part of the fabric of what we have used to become as safe as we are today." The Max, featuring bigger, more efficient engines, went into service in 2017. The software in a new automated system that can push the plane's nose down to prevent an aerodynamic stall is suspected of playing a role in the Oct. 29 crash of a Lion Air jet in Indonesia and has also come scrutiny in the March 10 plunge of an Ethiopian Airlines Max. In all, 346 people died. The plane was grounded around the world this month. Sen. Ted Cruz, R-Texas, who chaired the hearing, said the "close relationship between industry and regulators" threatens to erode the confidence of the flying public. Transportation Secretary Elaine Chao, who oversees the FAA, has asked Scovel to look into the way the agency certified the Max as airworthy. Also, the Justice Department is investigating possible criminal violations involving the airliner's certification. In addition, the Transportation Department watchdog plans to examine the widespread use of automated systems to fly airplanes and whether pilots are being adequately trained for when such features fail. Meanwhile, Boeing invited about 200 pilots from several airlines to its Seattle-area facility to explain to them upcoming changes to the Max's flight-control system. The United States remain one of a few nations to not ground the Boeing 737 Max 8 aircraft from flight following two high profile crashes that killed all passengers onboard in Ethiopia and Indonesia. The company said pilots will be required to take a computer-based training course with about 30 minutes on the flight-control software before they can fly the Max. It includes a knowledge test at the end. Boeing will also put information about the software in flight-crew manuals. Boeing's vice president of airplane development, Mike Sinnett, repeated Boeing's confidence in the safety of the plane. Sen. Tom Udall, D-N.M., questioned whether the FAA is too chummy with airlines and Boeing, a major defense contractor with political power in Washington. "Changes need to be made in the relationship between this company and its regulator to ensure that the safely of the flying public remains the paramount interest, not the quarterly profits of this company," Udall said. 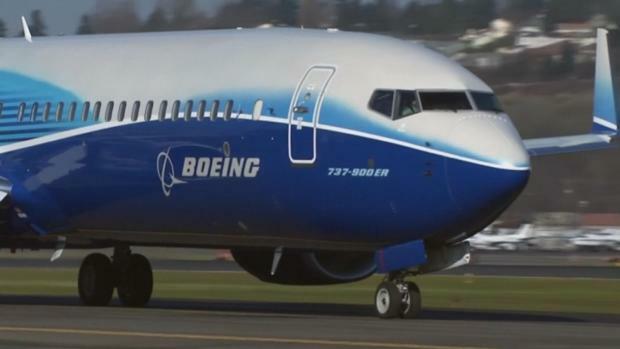 Scovel, the inspector general, also said he will examine why the FAA was the last safety regulator in the world to ground the Boeing Max after the second crash. He said other countries decided that "they needed to drive risk to zero, and they did that by grounding the aircraft." Elwell defended the FAA's decision, as he has before, saying that FAA acted as soon as "refined" tracking data indicated that the flight path of the Ethiopian plane was similar to Lion Air's. The FAA chief said he spoke to Chao, the transportation secretary, and President Donald Trump leading up to the grounding decision on March 13. Despite being pressed, he declined to describe any conversations with Trump, calling silence about such talks a longstanding executive branch policy. Elwell added that he didn't ground the plane sooner in part because pilots at American Airlines, Southwest Airlines and United Airlines assured him in strong terms that they were confident in the plane's safety. The crashes have raised questions about pilot training in other countries. Ethiopian Airlines CEO Tewolde Gebremariam rejected that assertion, saying this week that the pilots who flew the plane that crashed this month outside the capital of Addis Ababa had trained on "all appropriate simulators" and were adequately prepared to fly the new aircraft.